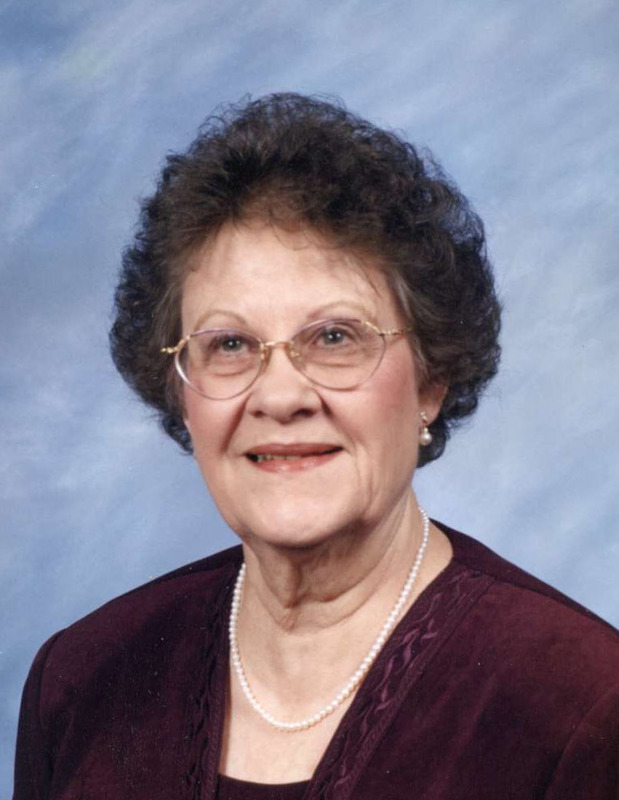 Rosemary “Mary” Jean Jacobs, age 88, Sartell, MN, died Wednesday, April 10, 2019 at Country Manor Senior Community, Sartell, MN. Funeral services will be Saturday, April 13, 2019 at 11:00 AM at Benson Funeral Home Chapel, St. Cloud, MN. Visitation will be from 9:00 to 11:00 AM at the funeral home on Saturday. Burial will be Sunday, April 14, 2019 at 12:30 PM in Spruce Grove Union Cemetery, Spruce Grove Township, Becker County, Minnesota. Rosemary was born July 1, 1930 in Evergreen Township, MN to John C. and Ellen M. (Nordby) Rader. She married Denton Jacobs on April 13, 1951 in the Evergreen parsonage in Evergreen, MN. She enjoyed sewing, crossword puzzles, playing cards, flowers especially her rose bushes, and watching Wheel of Fortune. Rosemary loved spending time with her grandchildren and being involved in their lives. Rosemary will be remembered for her kindness, generosity and poems for her grandchildren. Survivors include her daughter, Deanna (Neal) Miller of LaGrange, TX; son, David (Diane) Jacobs of St. Cloud, MN; son-in-law, Bryan (Billie) Rathke of West Bend, WI; 22 grandchildren and 31 great grandchildren. She was preceded in death by her parents, husband, Denton on September 20, 2017, daughter, Cheryl Rathke, and brother, Eugene Rader.